Keep makeup in place with a mist from Marc Jacobs, Physicians Formula and Maybelline! Marc Jacobs Re(cover) Perfecting Coconut Setting Mist - 112ml - $53 - a 24-hour, fine, micro-mist makeup setting mist that hydrates with 5 skin-loving coconut actives: coconut alkanes for lasting wear, coconut milk for deep hydration, coconut water for refreshing electrolytes, coconut polysaccharides to help condition skin, and coconut-derived fragrance for a delicate, delicious experience - while giving skin a fresh, healthy, dewy glow for skin that is left feeling comforted and nourished, never sticky or filmy. 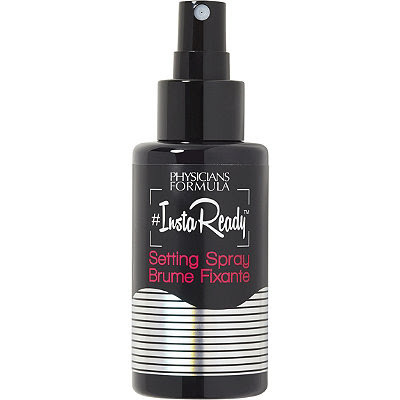 Physicians Formula #InstaReady Setting Spray - 100ml - $15.99 - a longwearing, fragrance-free setting spray with a lightweight formula that instantly absorbs to wake up the skin and finish makeup keeping it looking perfect and fresh throughout the day. Use it as a skin prep before makeup, a setting spray to help keep makeup in place or a misting spray throughout the day to refresh skin - any way you use it, the high-tech formula is great for all skin types and works to instantly mattify, blur, and visibly retexturize skin. 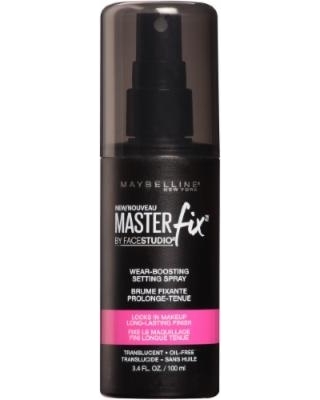 Maybelline Master Fix Wear-Boosting Setting Spray - 100ml - $15.99 - a lightweight, quick-drying mist that locks in makeup and prevents melting and colour fading as it boosts the look of makeup and extends wear all day to leave skin feeling soft and fresh, never sticky or shiny.